It’s been an incredible start to 2019 for Jamie Chadwick – winning the British Women Racing Drivers’ Club Lord Wakefield Trophy, securing a place in the inaugural W Series shortlist and now becoming the first female driver to win the MRF Challenge. 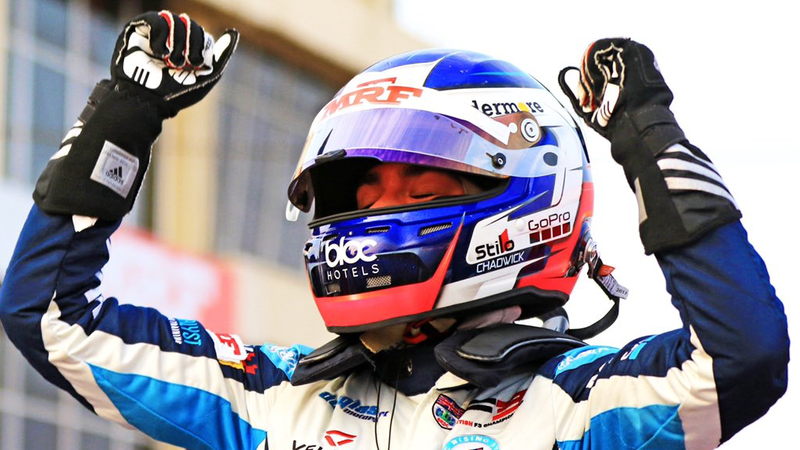 The 20-year old racer from Gloucestershire, who is also a British F3 race winner and British GT Championship GT4 class title winner, dominated the final MRF Challenge by winning three out of final five races at Chennai in India. Having entered the final race weekend 18 points behind Max Defourny, she ended it 37 points ahead of the Belgian driver to win the title in sensational style. Finland’s Patrik Pasma finished third. Jamie wears a Stilo ST5 FN 8860 helmet supplied by Nicky Grist Motorsports.